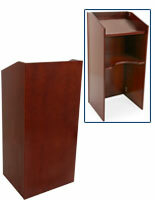 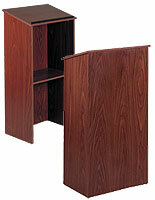 This dark cherry hostess stand is ideal for use in high traffic areas such as restaurants, classrooms, or meeting areas. 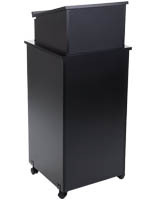 Each full size podium is 45" tall, with lockable caster wheels and a locking base cabinet for security in public locations. 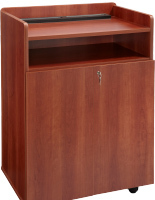 This cherry laminate hostess stand is made of durable, spill and stain resistant laminated MDF with a recessed top for privacy. 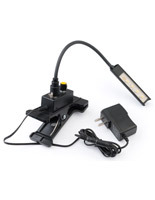 The flat reading surface has easy-access cord management ports and is ideal for holding reservation books, point of sale computers and equipment, tablets, laptop, or reading and presentation materials. 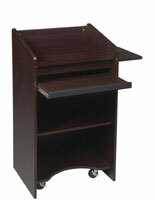 This rolling hostess stand has four sturdy caster wheels hjidden inside the base for easy mobility. 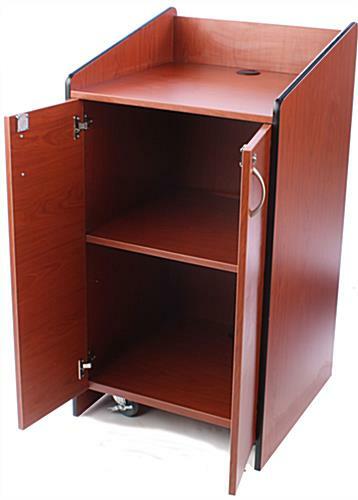 Each 25" deep locking cabinet with built-in cable management offers secure internal storage for menus, supplies, equipment and more. 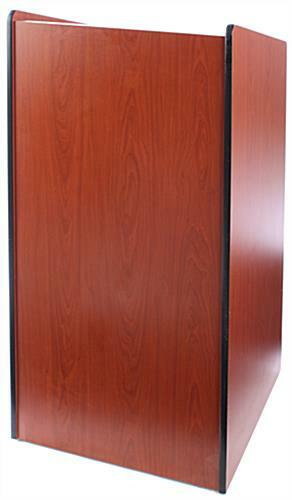 This lockable wood-look hostess stand with built-in cord management is ideal for use with point of sale computer or service equipment in commercial and professional environments. 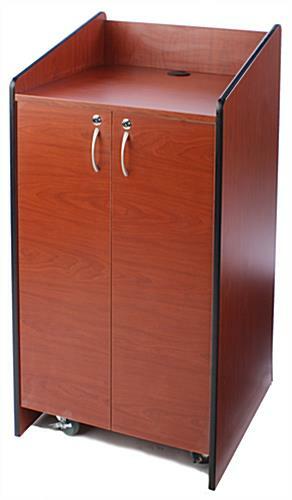 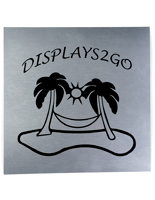 This type of hospitality and valet furniture offers style as well as functionality, making it a great match for use in hotels, restaurants, bars, schools, as well as corporate, private, and institutional facilities.